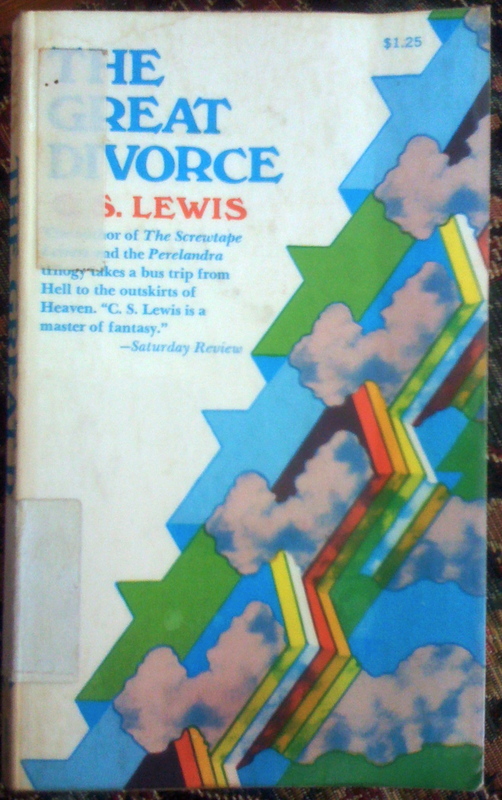 By omitting the word “if” and the main bulk of the second sentence, the publishers invert the meaning of Lewis’ statement. It was intended as an admission, a clarification, a protest; they made it into a subtle assertion of importance. The tone is also reversed: originally it was courteous, magnanimous, ingratiating; they made it blunt and assertive. I find something beautiful about the fact that C.S. Lewis was humble to the point of non-marketability. He consistently protests his unworthiness to a degree that his publishers probably would not be comfortable with—all the while writing classics! He cannot allude to Blake admitting his own uncertainty in even understanding him (The Great Divorce); he cannot write a book on pain without insisting upon his own inadequacy and inexperience of the subject (The Problem of Pain); he cannot write on Christian doctrine without reminding his readers that he is only a lay person and asking for clergy feedback (Mere Christianity); he cannot slight H.G. Wells’ fantasy novels without clarifying that he owes them a great debt (Out of the Silent Planet). On and on we could go. And I wonder how many influential writers today would make time to hand write so many letters to children? Nevertheless, in a world full of blatant self-promotion and self-importance, in which a football player cannot so much as make an open field tackle without conducting a celebration dance, we are probably in trouble if we never find ourselves feeling—like Lewis—out of place with contemporary marketing strategies. I’m still trying to figure out myself what this looks like. I don’t always know. But if we are going to err, my gut tells me its better—for the sake of our own souls, if nothing else—to err on the side of being too cautious, too quiet, too timid. After all, in the parable of the wedding feast, Jesus did not say, “when you are invited to a wedding feast, don’t take the best seat; instead, go and sit in exactly the seat you think you deserve.” No, he said, “go and sit in the lowest place, so that when your host comes he may say to you, ‘Friend, move up higher'” (Luke 14:10, italics mine). Surely “whoever exalts himself will be humbled, whoever humbles himself will be exalted” has some relevance for our writing. Yes, lets take every effort to “get our message out there”—but lets also remember that in kingdom writing, kingdom publishing, our methods matter as well as our message. By the way, Lewis’ books sell between 1.5 and 2 millions copies per year. This reminds me of Mark Dever’s comment about underselling yourself and giving people more than they expect. Good thought, Bob, I had not thought of that connection before.